This is a scalable context timeline. It contains events related to the event Late 2002-Early 2003: More Talented US Personnel Redeployed from Afghanistan to Iraq. You can narrow or broaden the context of this timeline by adjusting the zoom level. The lower the scale, the more relevant the items on average will be, while the higher the scale, the less relevant the items, on average, will be. On February 15, 2002, President Bush directs the CIA to conduct operations in Iraq (see Early 2002). In mid-March, the CIA tells the White House that it is cutting back operations in Afghanistan (see Spring 2002). 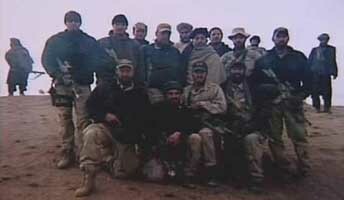 Most of Task Force 5, a top-secret elite CIA and military special forces group, is called home from Afghanistan to prepare for operations in Iraq (see Early 2002). In March 2002, Fifth Group Special Forces, an elite group whose members speak Arabic, Pashtun, and Dari, that is apparently different from Task Force 5, is sent from Afghanistan to Iraq (see March 2002). 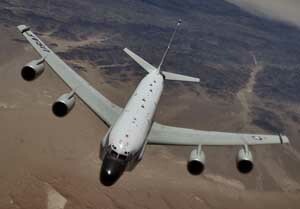 The US Air Force’s only two specially-equipped spy planes that had successfully intercepted the radio transmissions and cell phone calls of al-Qaeda’s leaders are pulled from Afghanistan to conduct surveillance over Iraq. NSA satellites are “boreholed,” (or redirected) from Afghanistan to Iraq as well (see May 2002). Almost all Predator drones are withdrawn from Afghanistan and apparently moved to the Persian Gulf region for missions over Iraq (see April 2002). In mid-March 2002, Deputy CIA Director John E. McLaughlin informs senior members of the president’s national security team that the CIA is cutting back operations in Afghanistan. Presumably the CIA there are to be used in Iraq instead. [Washington Post, 10/22/2004] Newsweek will later report that around this time, “The most knowledgeable CIA case officers, the ones with tribal contacts, were rotated out.” The CIA station chief in Kabul, Afghanistan, a fluent Arabic speaker and intellectual, is replaced by a highly unpopular chief who admits to only having read one book on Afghanistan. [Newsweek, 8/28/2007] More CIA personnel will move from Afghanistan to Iraq in late 2002 and early 2003 (see Late 2002-Early 2003). Robert Grenier. [Source: Kroll, Inc.]Robert Grenier, head of the CIA station in Islamabad, Pakistan, and then promoted to head of the Iraq Issues Group, will later say that in late 2002 to early 2003, “the best experienced, most qualified people who we had been using in Afghanistan shifted over to Iraq.” The CIA’s most skilled counterterrorism specialists and Middle East and paramilitary operatives move to Iraq and are replaced in Afghanistan by younger agents. Grenier will say, “I think we could have done a lot more on the Afghan side if we had more experienced folks.” A former senior official of the Pentagon’s Central Command involved with both wars later says that as war with Iraq draws closer, more special operative units like Delta Force and Navy SEALs Team Six shift to Iraq from Afghanistan. “If we were not in Iraq… we’d have the ‘black’ Special Forces you most need to conduct precision operations. We’d have more CIA. We’re simply in a world of limited resources, and those resources are in Iraq. Anyone who tells you differently is blowing smoke.” [New York Times, 8/12/2007] Other special forces and CIA were moved from Afghanistan to Iraq in early 2002 (see Early 2002).